Mordian 7th Regiment: 40k Exodite Eldar - The armies of the Tanelorn Wood grow! 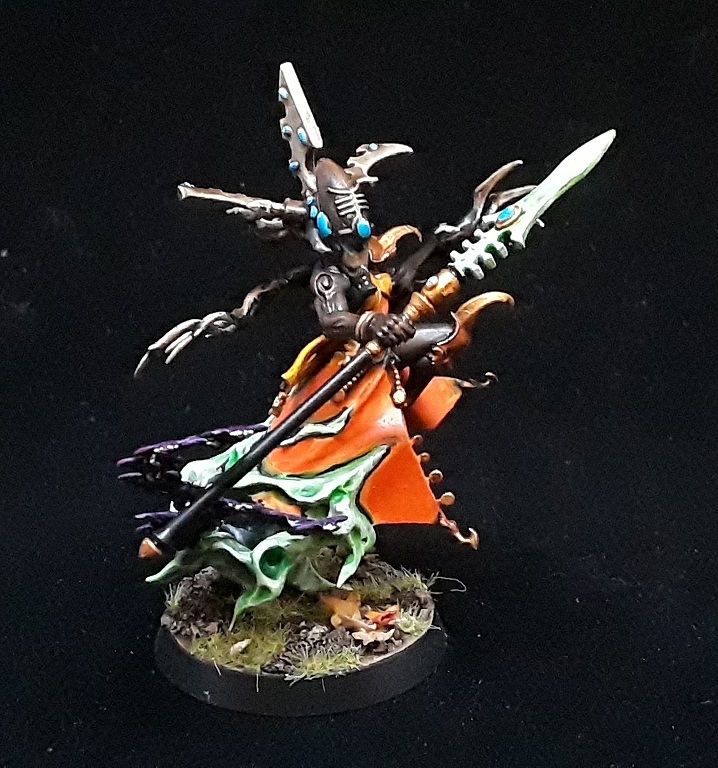 40k Exodite Eldar - The armies of the Tanelorn Wood grow! After going hard for heresy for the last several months I needed a change of pace for a bit to recharge the ol' hobby mojo. The Exodites of the Tanelorn Wood were brought back out of the Closet of Doom and I set about polishing off the various primered and half-painted models from when I'd left off previously! The force up to this point was lacking in the requisite number of Troops choices, so the first thing was to rectify that situation with a pair of Ranger squads. Rather simple but effective conversions, comprised of Wildwood Rangers and Dark Eldar warrior arms and weapons that have been de-spiked a fair bit. Not entirely sure that blaze orange is particularly stealthy - Safety first when it's Mon-Keigh hunting season! 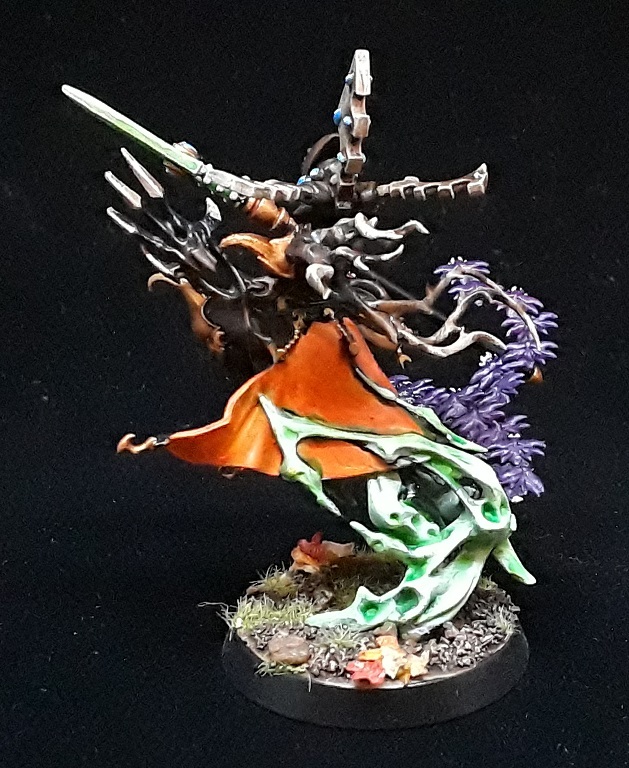 Pretty jazzed with how the Spiritseer of the force turned out - She incorporates a little bit of all the design elements from the rest of the force, and ended up with a great swirly sense of motion! Next up was the Fast Attack section of the force, with a trio of counts-as Wasp Assault Walkers. 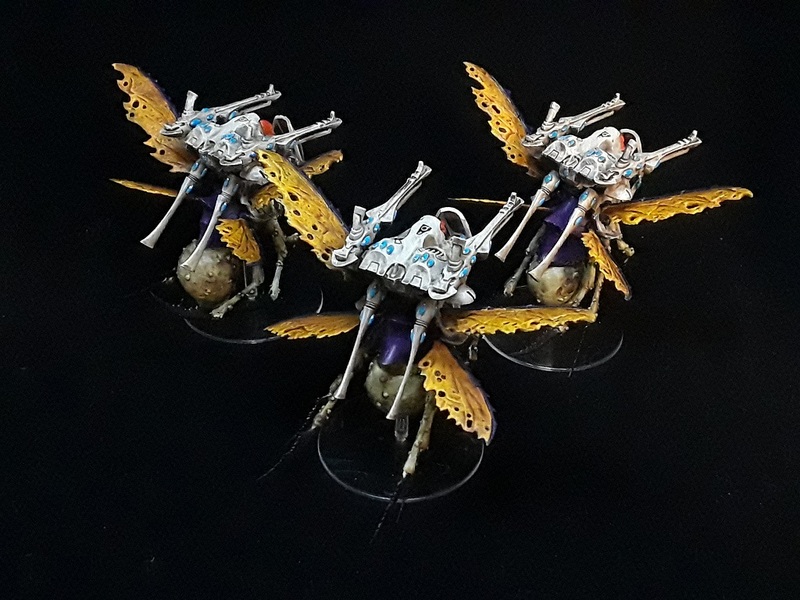 Nothing wrong with six shuriken cannons dropping in from above to decimate soft targets - Tried to incorporate the same colors on the flies as the ones on the spider toting the Nightspinner, so gross! While they're still pretty nobbly and disgusting, I had filled in the worst of the raw open wounds so they aren't quite as Nurgle-y but I sort of like the idea that the depths of the forest are corrupt, and the Exodites both battle and use the grotesque life on their planet. All that remains at this point are the last five wraithguard armed with twin swords and the project will be complete! Very cool. It's an attractive paint scheme. Maybe it's only glowey orange from a friendly perspective? Like ID tabs that work on certain spectrums to be seen through night vision? Helps prevent orange on orange incidents. that's what I was just thinking lol. It's in a spectrum the human eye can't see but eldar can. Dinosaur, mammoth, eagle, tiger, wolf, Wolf ! Eagle JB council, giant centipedes, warp spider spiders. Fire dragon lizards. Dinosaurs !!!! Beautiful work, especially that Spiritseer. This army must look amazing when it's all together. 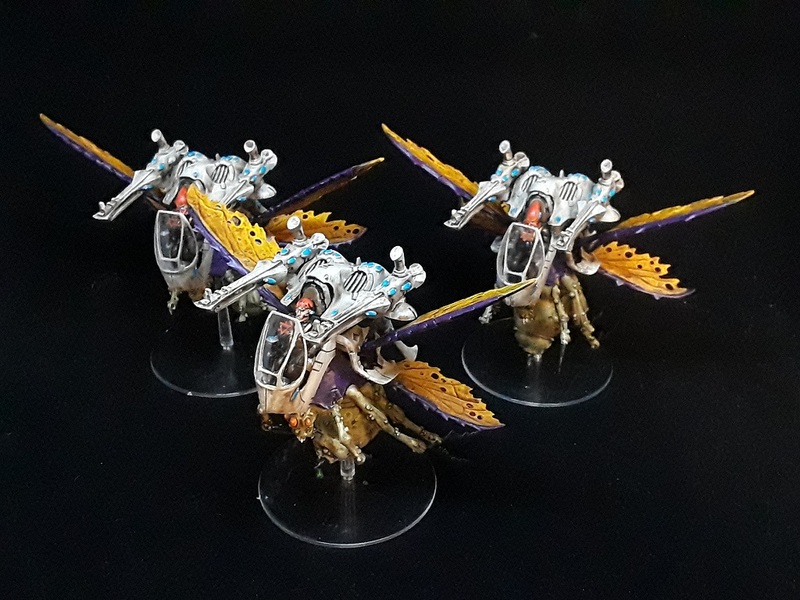 Really enjoying your vision of the exodites and the model conversions are really very striking. Looking forward to seeing the army all together. Beautiful army, but the bugs...those are things of nightmares man! Haha! They creep me out too! Not normally a fan of Eldar at all, but these are by far some of the best I've seen.